Today is B for Belgium. It’s probably not what you expect from Belgium – but it made an impression on me as a young teenager – and obviously still has appeal today as it’s used in many adverts! In a former life, I used to attend political meetings invariably held in rooms above pubs. A fellow comrade also came along but often refused to drink in the bar below afterwards as it wasn’t CAMRA approved. Oh how we laughed at his prescribed ways – and he back at us drinking our mass produced tasteless p**s water. When I eventually got to Belguim and sampled the outstanding array of fine beers on offer – I wanted to ring up this fore mentioned gentlemen and apologies to him. Belgium does more beer than Scotland does whisky! I was simply overwhelmed by the range on offer. A restaurant in Brugge I visited had a 2 page meal menu, and a 20 page beer menu! Where do you begin? On spotting a very strange glass being served to a fellow drinker – I thought I’d start there. Wow! Kwak. A truly tasty dark beer with very strong flavours, a bit sweet, but lovely. The fact that all the beers are served in glasses unique to the brand only adds to the enjoyment. 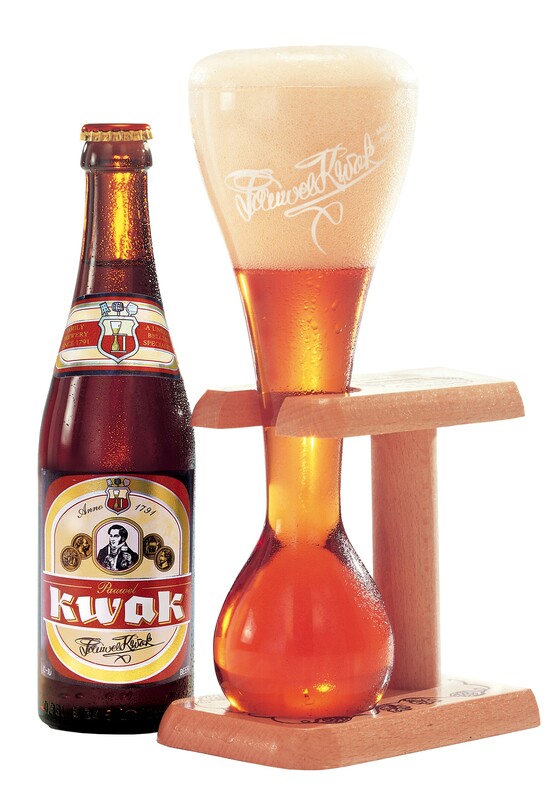 Kwak certainly has a glass to match it’s unusual taste! Well up until the early 2000’s there wasn’t any – but now there’s around 3 whisky distillers making the aqua vitae. I managed to get a whisky mule to bring me back a bottle. 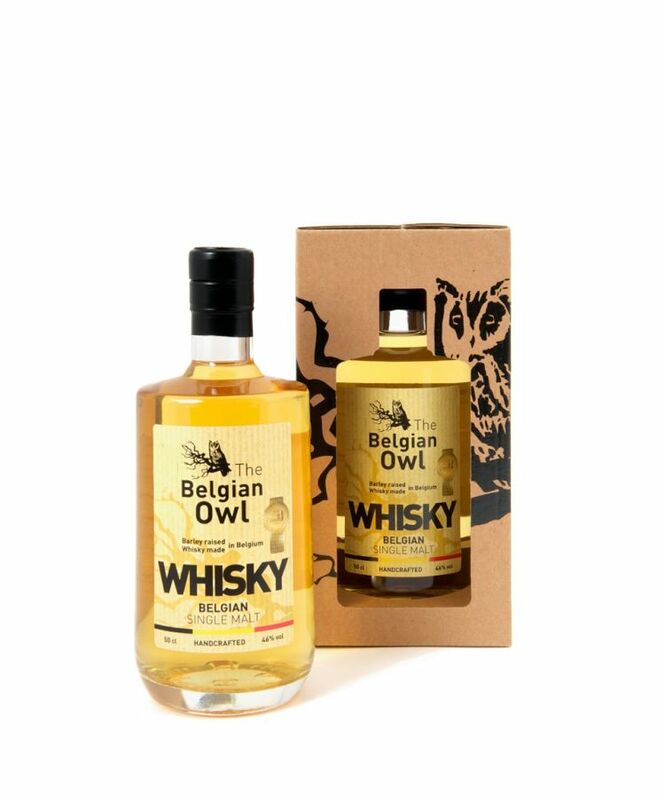 The Belgian Owl Single Malt is a very fine – if slightly unusual whisky – or at least I haven’t had something like this before. It has a fruity nose as well as taste to it. Extremely enjoyable and easy to drink even at 46%. Jim Murray rates it highly and many awards have already been won. This is certainly an A whisky for me! There is more to Belgium than it’s beer! PS Short Eared Owl image at header c/o Sharpes birds. PPS The Belgian Owl is now available in a variety of expressions up to and including a 5 year old cask strength bottling due this year. Further exploring the world of rye whiskey I have come across a certain amount of opposition & even derision of the term Irish Rye. It is some what ironic that Irish Distillers are currently recreating Irish Rye from long forgotten records where quite clearly rye was commonly used in the production of Irish whiskey. 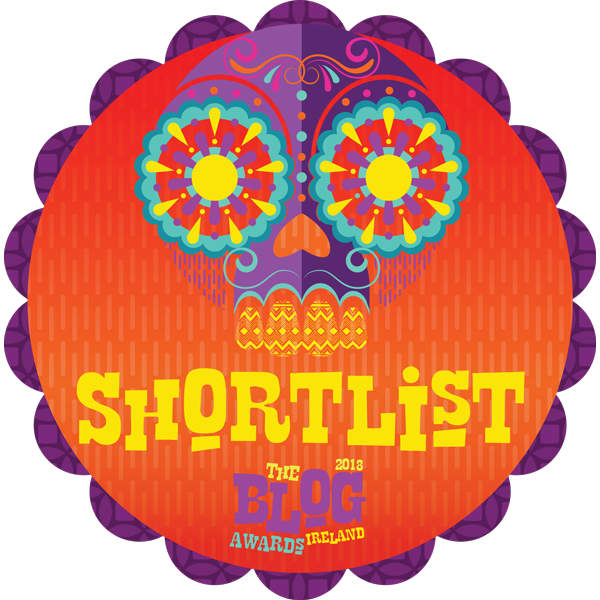 I’d even suggest there is some merit to the proposition that Ireland actually invented Rye Whiskey. America only popularised it with the influx of Irish immigrants & know-how. What I do know however is that Ireland is a little late in joining the current rush for rye. France, The Netherlands, Finland, England, Czech Republic and even India all have rye whiskey products on the market – and if you click on the countries you will be guided to the relevant rye. I managed to get my hands on one of those new breed of ryes from Belgium via the marvelously named Drankenwereld online bottle shop. Despite the alleged openness of the European Union – it still took a few emails to arrange a safe & prompt delivery. Sunken Still Rye Whisky is a 4 year old rye matured in bourbon barrels from the Filliers Distillery in Belgium who also do the Goldlys whisky range. I found the nose to have a curious honey sweetness with a spice that reminded me of cinnamon – almost into liqueur territory here. Mrs Whiskey adored the nose & likened it to perfume. Luckily the taste was clearer with the dry rye spice punching through the soft sweetness to give a long lasting finish. A pleasant & fragrant Belgian slant on the rye flavour profile. Technotronic, Pump Up The Jam. A little more modern. Jacques Brel, Dans le Port d’Amsterdam. a bit more mainstream. 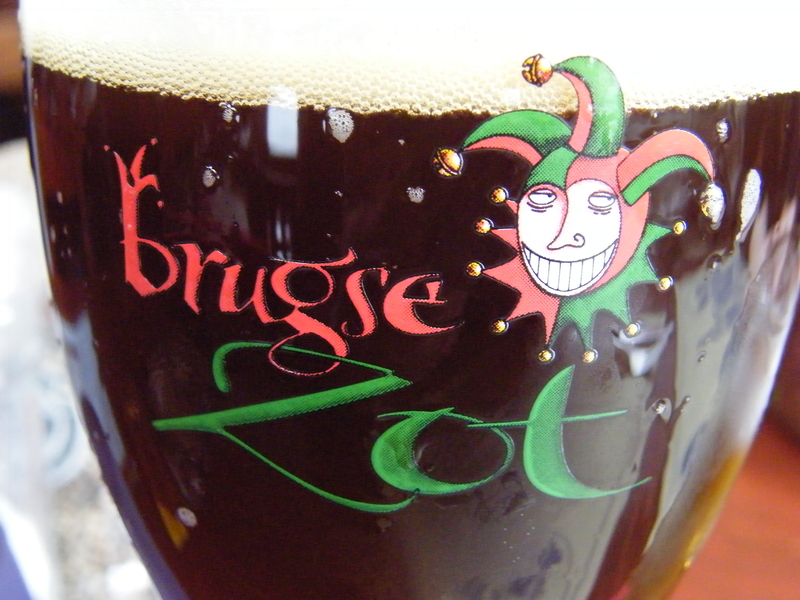 Or maybe…..
Brugge also did a very fine – if not as strong brown beer in the oddly named Brugse Zot Brune – also served in an attractive glass. There are other brands available that I haven’t managed to get hold of yet. Goldlys and Carolus don’t have as great reviews but may be worth sampling. There might be other manufactures out there also trying to jump on the whisky band wagon. One thing is for sure however.